up to 12 feet high if it has that much climbing space. colored anthers with 8-9 inch flowers. and let it climb to the sun. Isn't it beautiful? 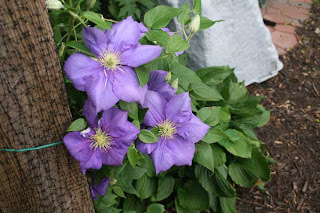 Do you have any Clematis vines? what you have and how much you love it.